This catalogue documents a watershed social and political moment—the Viet Nam War—from the point of view of three distinct cultures. Exuberant, do-it-yourself images from students, draft resisters, vets, and other opponents of the war in America are juxtaposed with images produced in North Viet Nam which display a riveting artistry at the service of nationalism and productivity, as well as with Cuban posters which express solidarity with the Vietnamese struggle against U.S. imperialism using an array of modernist styles. Essays by Nguyen Ngoc Dung, David Kunzle, Carlo McCormick, and Carol Wells. Text: Martin Susan. pp. 112; paperback. Publisher: Smart Art Press, Santa Monica, 1996. 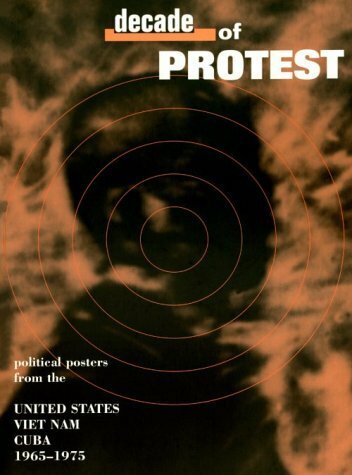 Request info for "Decade of protest: political posters from the United States, Viet Nam, Cuba …"